.I appreciate all you have taught me and all you have shared with me and I know we just scratched the surface. Certain people make a big impact on who we become in life and I "Thank You" for playing a HUGE roll in who I will become moving forward. Both professionally and personally you have given me the chance to meet challenges and achieve goals I would not have been able to do without your help. Thank You from the bottom of my heart for all you have done for me! "Hitting the Golf Ball Consistently Better"
"As a retired dentist, I had been dealing with lower back issues for a few years. 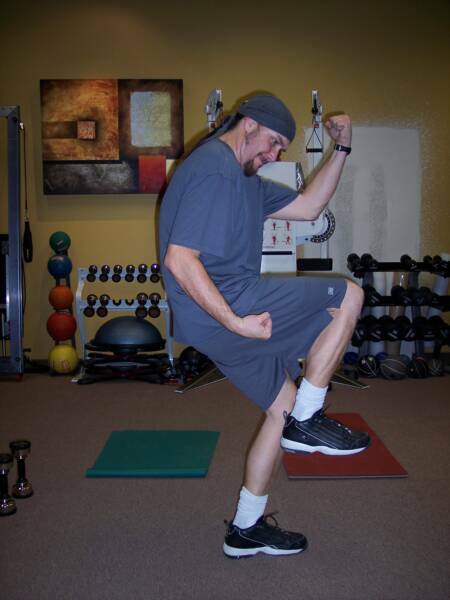 Thanks to Ingo and his knowledgeable expertise, I learned some valuable stretching and strength building exercises that have virtually resolved my lower back pain and discomfort.....and since I routinely golf 5 days per week, this improvement for me physically is more than significant. 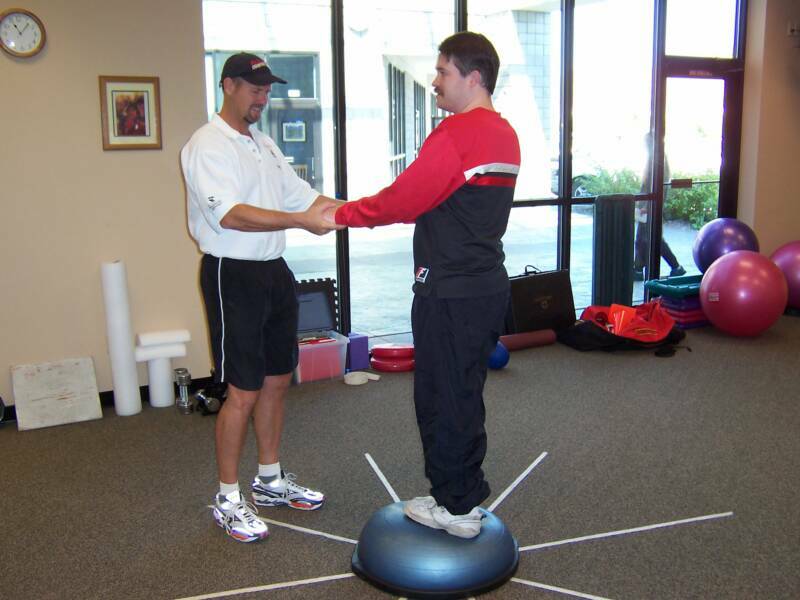 Additionally, Ingo taught me better postural positions that have resulted in I would highly recommend Fitness Forever for anyone interested in making good health conscious improvements.....and I am so grateful to my wife, Cyndy, who purchased my initial visits and consultation/evaluation as a great Valentine's Gift last February! "10 inches Off My Waist"
When I first came into contact with Ingo I told him that I knew what I was doing when it came to working out and that I needed assistance with my nutrition. I also told him that I had a grasp on what is healthy and what is not and if I could get some menus I would be set. Wow, what little did I now about nutrition and exercise! After four months I have lost more than 13% body fat and almost 10 inches of my waist. What helped me most is Ingo’s ability to check up on me about every other week through telephone calls and when I checked in to weigh in. Those calls were both encouraging and candid accountability checks. If you start to drift away from the program Ingo will call you on it in his friendly but stern way. 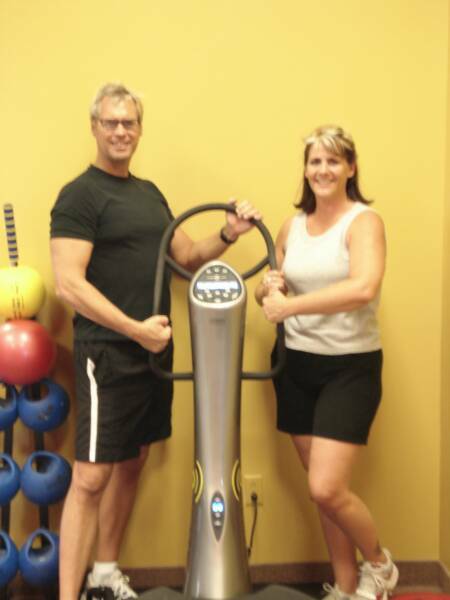 I have had such great results for me that I have signed on with one of Ingo’s newest personal trainers, Jeannie who is working with me on Core training two days a week. Using Ingo’s training philosophy Jeannie has taken my fitness goals to a whole new level! The Westin Mission Hills Resort and Spa, Rancho Mirage, Ca. "You Really Made a Big Impact On Us"
I just wanted to let you know how much I enjoyed meeting you and all of the information you shared. So much of it are things you know a little about but you really clarified allot for me. I have tried some of the exercises on the sheet and am making a habit of warming up. Once I see how to do the exercises with our fearless leader demonstrating, I will be using them all...I guess my old mind can't remember like it used to. Also, I am really going to work on getting soda out of my diet. I know that is something I need to do; I just wish I didn't love it so much. Just replacing soda with water will make a big difference. You really made a big impact on us all and we all had a blast. I just wanted to share with you some of the small steps I am taking to a healthier lifestyle. Anyway, thank you again for everything. I wish you much success in your business and in life! Their Amazing Fitness and Weight Loss Solutions! "Certain People Make a Big Impact"
I know you say that it takes personal drive and determination to achieve what I have. However, I was always an athlete and always had the drive and will to do it, but for some reason I couldn't. I got a huge wake up call from God and a second chance and I STILL wasn't stepping up to get in shape. I just want to thank you both for the great learning’s over these past few days. As Steve knows, I worked with a trainer for over a year and I feel like I got more out of a few days with you than I did in that year. I'm psyched! I listened to the CD's last night on my way home and am on the alkalize/energize band wagon. I was amazed by the science and information discussed and definitely want to go down the path of a cleansing and green drink regime. I'm still working on reading the other books you gave us, but hope to get through them this weekend. My size 5 body of my 20's and 30's after working hard and a bad fall that left my back in bad shape I had crept up to a size 10 by the time I reached 53. I thought maybe I wasn't too old to do something that would improve both my looks and my health. My goal was to lose 25 pounds and to be able to wear sleeveless clothes and shorts again! I had immediate success! 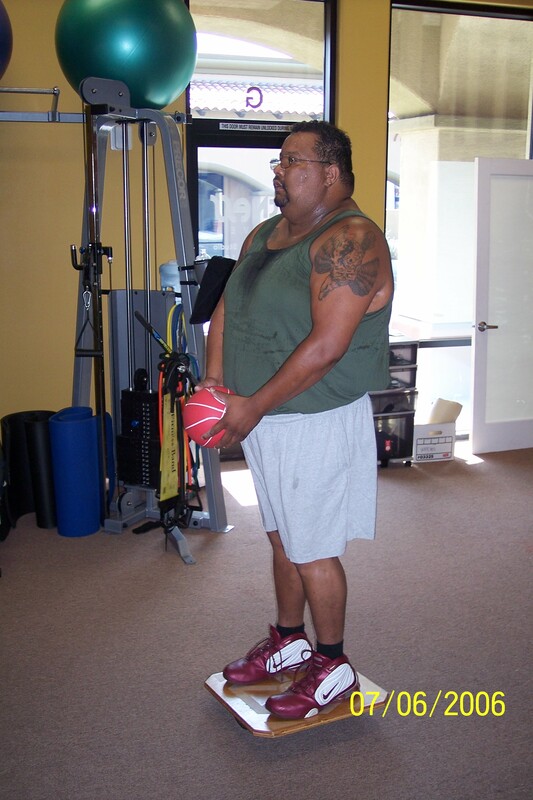 At the end of 3 months I had met my goal of a 25 pound weight loss, my cholesterol was down and so was my blood pressure. I have been size 5 wearing sleeveless blouses and shorts. I look and feel better at 55 than I did at 45. 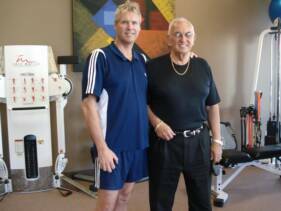 Oh by the way I thought I had retired but because of what Ingo had taught me I went on to became a personal trainer and Pilates Instructor! Thank you for all I have learned and accomplished. "I Went On to Became a Personal Trainer"
For me Fitness Forever was more than just a place to work out with a trainer, it was an education. Fitness Forever provided me with the knowledge I needed to maintain a healthy lifestyle. 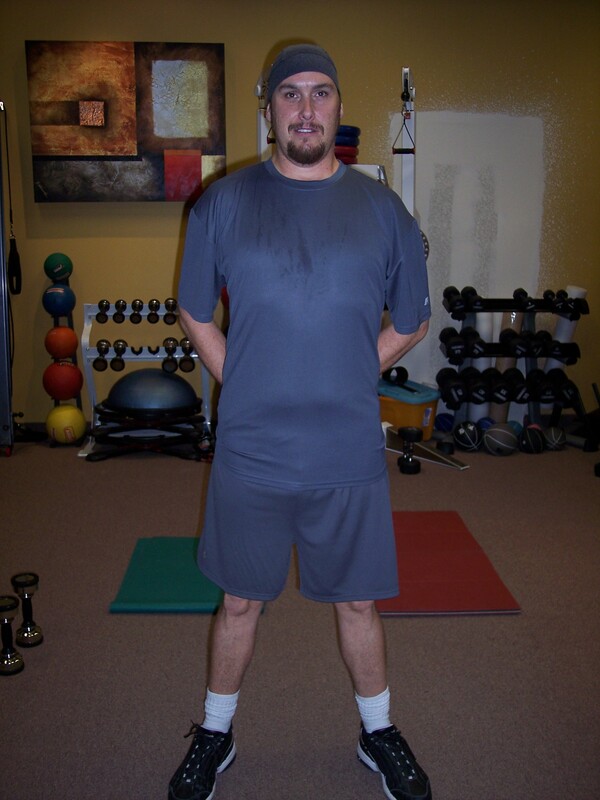 Even when I’m not using their personal training services, I continue to receive support and useful information about staying healthy and in shape.
."I Heartily Recommend His Private Taining Services"
nutritional education, physical training, menu preparation, motivating personality, and dedication to the process that I have never expe-rienced before. Mr. Loge was knowledgeable and open. He understood what my goals were and explained that I needed to refine the way in which I ate and exercised. The level of education, the CD’s and reference books painted a clear picture. We discussed my diabetes and innovative programs. It all started to make sense. The heart monitor, understanding metabolic rates, core work, and the cardiovascular warm up. I double checked with outside professionals and searched for information on the Internet. Mr. Loge knew what he was teaching. I was willing to put my full trust in his skill. Today I am 260 pounds, down 5 pant sizes. I have a normal size neck with only one chin. An improved circulation, increased vitality and stamina, a lighter, brighter spirit. These are the gifts I have received as a result of working with Mr. Loge. 83 pounds gone! I went from four daily insulin injections to none. Yes, that’s right. I no longer have any symptoms of type II diabetes. Confidence, satisfaction, increased well being and the knowledge of how to live a healthy lifestyle. The level of education, personal service, cutting edge technology and nutritional support has combined to improve my quality of life and overall health. None of this would have been possible without the expertise, dedication and personal attention provided by Mr. Ingo Loge. In today’s world of false promises and hype, Mr. Logé and Fitness Forever Team are the real deal. An environment of positive training support and education. More than the warehouse gym mentality, it provided me with the tailor made program to ensure my success. I just needed to be willing to unlearn some destructive habits, and participate in a life changing training program. Thank you, Ingo. In August 2007! What a transformation! I Went From Four Daily Insulin Injections To None"
Well the name says it all Fitness Forever. In life there are only a handful of major decisions that one will make. For me the decisions I had to make were changing my nutrition and sedentary lifestyle, not just to get back into shape, but to make a life decision to maintain it FOREVER. I struggled for years to change my ways, until that day when I met Ingo. Since then I have been on a progressive path toward health. When I started with Ingo I weighed in at 251lbs, and now I hover right around 205. It’s not just the training that impressed me, it was the knowledge that he had about nutrition. I was eager to learn it all and I have to say that the results have been awesome, and it shows. I’m like the nutrition go to guy in my family and circle of friends. They see what I have accomplished and want the same for themselves. The decision is ours to make, but it sure does help to have a friend and trainer like Ingo backing you up. “Come on Billy give me ten more”! “You can do it”! “Alright now go get a drink of water”. This he says while clapping his hands and giving you that I knew you could do it look. 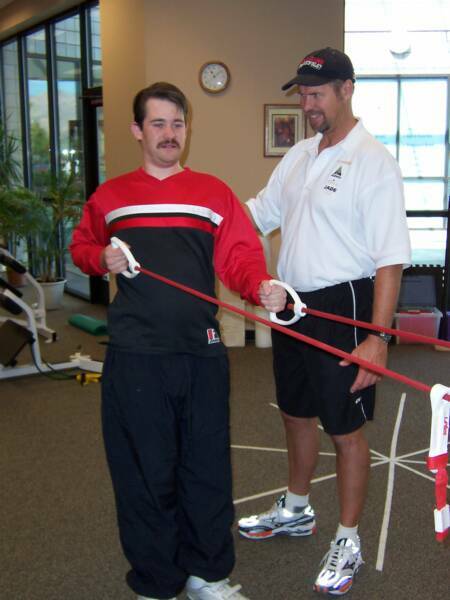 I was one of Ingo’s first clients in his Palm Desert Location. How destined was I to have an office right next to his. I get to hear him clapping and motivating people all the time, kind of gets me all teary. I think to myself show no mercy Ingo. I cannot thank him enough for all that he has taught me, and for getting me on that path. Thanks to Ingo, I will always have my own Fitness Forever. "I struggled for years to change my ways, until that day when I met Ingo." I now have control over my health. I am more mobile and I feel much better about myself. Ingo plays a dual role— not only as a trainer and nutritionist, but he is very empathetic. On occasion, he telephones me to see what I’ve been eating during the day! 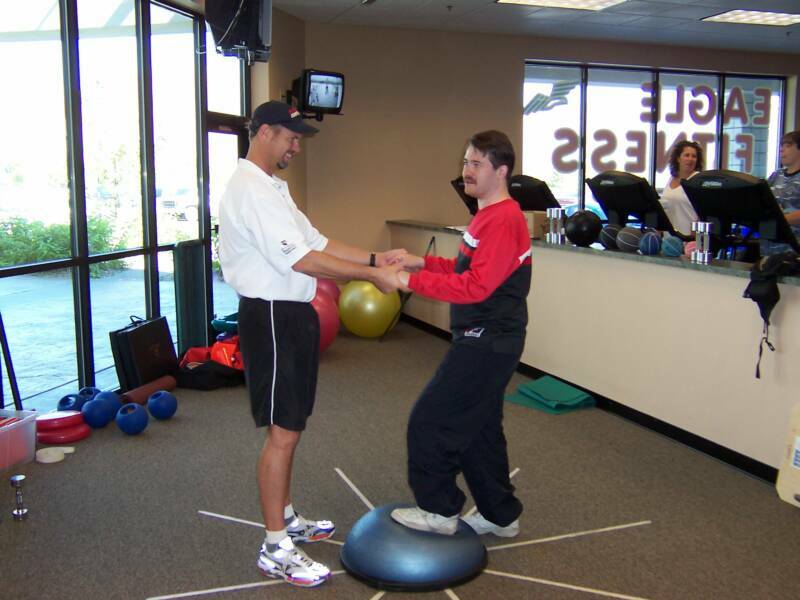 I appreciate the privacy of working one-on-one and knowing how to exercise properly. I heartily recommend his private training services to anyone wanting to live a healthier and, hopefully, longer life. Life Change Without The Coaching From Ingo"
How has your life improved or changed since becoming a client and customer of Fitness Forever? Remaining slim has been a concern for my entire life. Although I weighted 98 pounds until my late twenties my metabolism changed dramatically one year and I gained 35 pounds in one year. Loosing it was a tremendous challenge and was accomplished by reducing my food intake to 1 meal a day at lunch time. At the same time I became a vegetarian. I was able to loose the weight and keep it off for many years but I was becoming deeply tired. Now, I eat 3 meals a day (and snacks), always including a protein and feel great. I have lost about 5-7 pounds. I feel human in a way I have not in years.Ps.. I never at breakfast before! What are the two our three biggest benefits your have experienced? 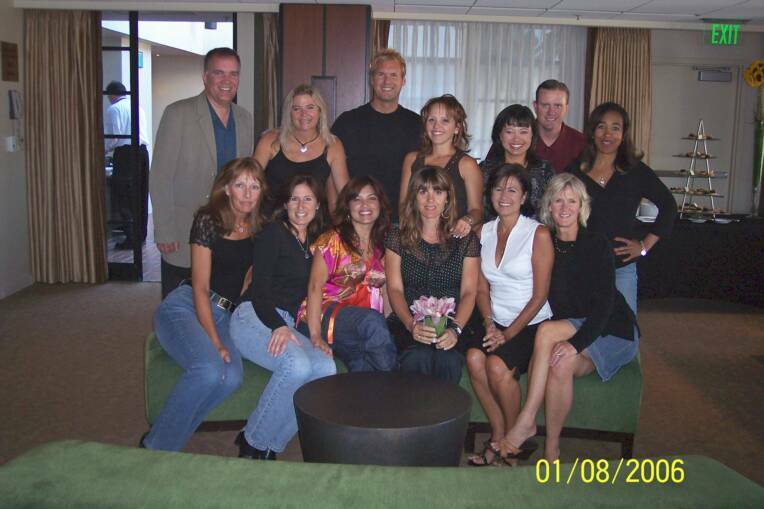 Please describe how Ingo has specifically helped you achieve greater success with your life/business relationships? 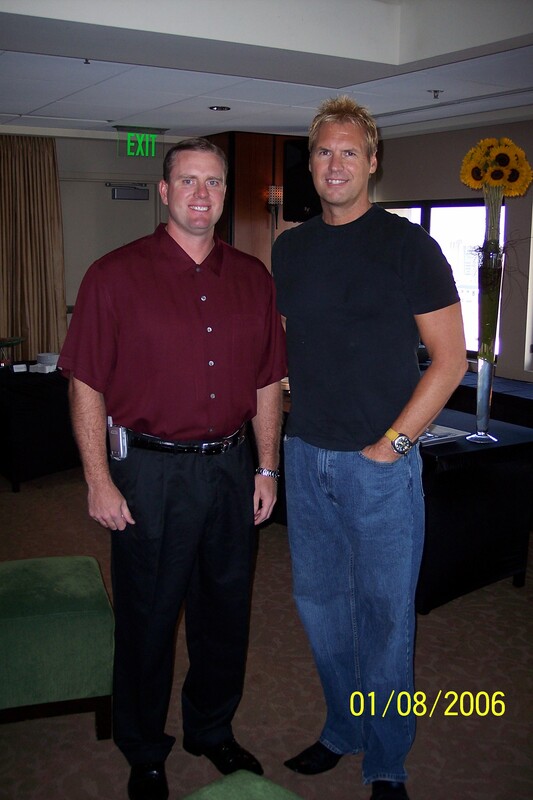 1.I believe I could never have accomplished this life change without the coaching from Ingo. It took a lot of time and dedicated effort and I already have a busy schedule unable to fit in the commitment he requested. However, I did not understand the depth and complexity of the information. The bottom line is that the program does not ask us to change a few things, but really everything. IN a world where we look for a quick fix – read it, get it, do it true change is nearly impossible. It takes time and counseling to insure you have chosen and stay on the right track. Changing takes action. After the first couple of weeks I thought I had it nailed – but had forgotten one of the primary principals regarding combining. It was through the daily review and training that I was able to better train myself how to eat. What was biggest AH! HA! moment? 2. CD-information on food processing, etc. After having a baby at 39 I felt overweight and overwhelmed. I had tried many different diets and gym staffed personal trainers, all with the same ending; Lots of money spent, very little results. From the moment I met Ingo and toured his studio, Fitness Forever, I knew this would be different. I stopped by un-announced one day and saw first hand why he is so successful. His electrifying motivation leaves each individual inspired. He teaches each student with renewed energy, so they can reach their individual goals. This was what I was missing; one on one, personalized training, tailored to me. My daughter is 14 months old and since I began training with Ingo I am now down to my pre-pregnancy weight and I am ready to reach my next goal. I have recommended Fitness Forever to my friends and family. Since I started both my parents, one co-worker, and another industry partner have joined. This is a true testimony to a job WELL DONE! Well, it was true. Doing nothing more than thirty minutes of exercises coached by Ingo, my body changed in ways that shocked people that have known me for years. And as I continued to work out, Ingo would feed me (no pun intended) little tidbits of nutritional information that only added to my new found energy and health. Then, for Christmas, my amazing husband gave me the Six Week Nutritional Bootcamp as a gift. It was supposed to be a gift for only me, but in learning how my health and energy depend greatly on the quality of food I eat and the type of lifestyle I live, I have been able to bring healthy lifestyle changes to my entire family! Well, it's been a year. I'm 6 dress sizes smaller and armed with the knowledge of how I can remain healthy for the rest of my life. I have never had this amount of energy. I have had illnesses disappear and medications that I have taken for years have been lessened to next to nothing. I was so influenced by the education that I received from Ingo that I am now a Metabolic Typing Advisor myself and looking forward to helping others find the freedom that I have found by changing how I eat and move! "Since I last saw you I made a bunch of changes"
* This morning I threw away my microwave. I need to get on board with the "green drink"... the daily one, not the cleansing green thing. Let me know where I can purchase, website/etc, and also do you have a written copy of the 30 minute exercise routine we did with you in Palm Springs? I really like that one and would like to incorporate that with my cardio and yoga regime. I'll be back in touch after I've reviewed your info below and I look forward to a consultation, etc. As much as it pained me to do it, I really got a lot out of it! Thank you again for your “Marriott Boot Camp.” As much as it pained me to do it, I really got a lot out of it! Have you added the music to iTunes? If so, what is the name? Also, can you email me the work out? Let Me Tell You....Why Fitnes Programs Fail! "I also want to thank you for hanging in there with me. I do see amazing changes in pretty much every aspect of my life"
and, although I know you will tell me that I did it myself with commitment, etc., I know that I would never have been able to do this without you.You have a gift and I, for one, am very grateful that you tapped into it! This testimonial has taken me months to write. The reason for this is that it is a difficult task to try to tell you in just a few words how Fitness Forever has changed so many things in my life. I'll start at the beginning. 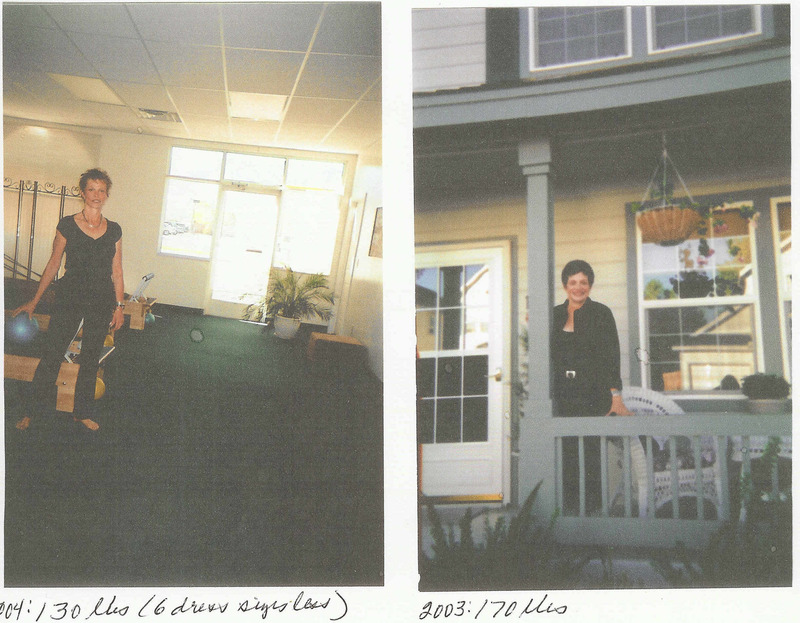 In August, 2006, my sister in law and Ingo plotted to get me into some sort of fitness routine! I really wanted that, too, but I had tried for years to take off weight and work health and fitness into my busy schedule with no luck at all. (I say this knowing that many of you reading this have said the same thing!) I was pretty much promised that if I put fourth effort for thirty minutes twice a week on this fancy new machine called the Power Plate, that I would start to see changes. Well, I am a mom to three incredibly busy teenagers, a wife and an elementary school teacher and I really believed that this would be something that would just eat up more time. But I also knew that, if this was the one thing that would work for me, I needed to try it. 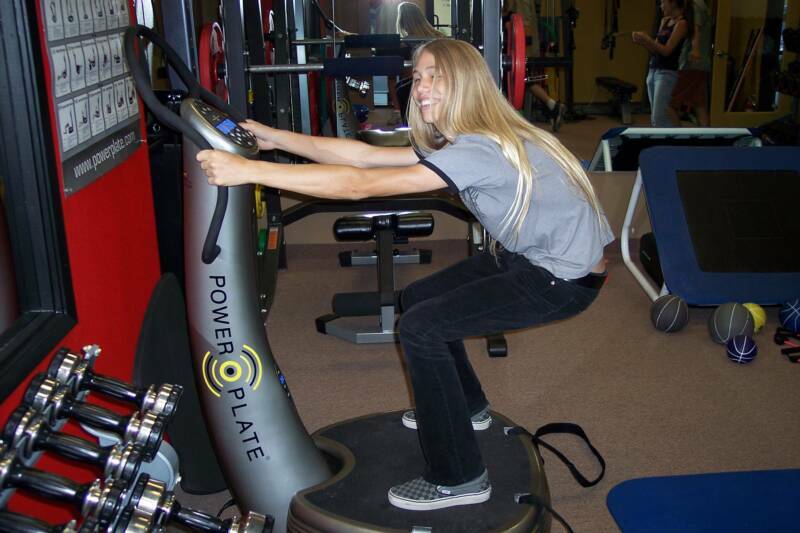 I signed up for six weeks of Power Plate sessions. Build a website in minutes! Try free or sign-up for our $4.99mo. limited time offer. Amazing Results That Changed People's Lives, Health, Relationships And Businesses Beyond Their Wildest Expectations..."
"I Was In A Comma For 18 Months! " After a severe auto accident left me In a comma for 18 Months! Northern Nevada's Worst Head Injury Case Walks Again! was the headline in the paper. Hi My Name Is Daniel Lee ;and I was introduced to Ingo In Carson City, Nevada by my case worker Diedre Manley. I could not walk with out dragging my right leg. My left arm did not work either it was just hanging there, my life was pretty much meaningless and there was no hope. See Mr. "59" Al Geibergers Swing! And Get A Free Golf Report!
" I Take Your Tips to Heart"
1. Buy the book; glad you forwarded the name/author, I was blindly looking for the book at Mother's Health Food store and had no luck. 2. I;m good on the water and the sleep, bad on the salt and the processed foods - chips are my weakness...but usually blue tortilla chips with no trans fat!! 5. Portion control seems to help me...experimented with eating slow...that's a whole new mindset change! 7. Sugar...well, I don't eat much chocolate, and drink very few diet sodas in the week? 8. Eating Breakfast most everyday! So I am seeing some successes and feeling good. Thank you, thank you for all you do and have done! Your Nutritional Life Coaching Or Nutritional Boot Camps With Me. Q. 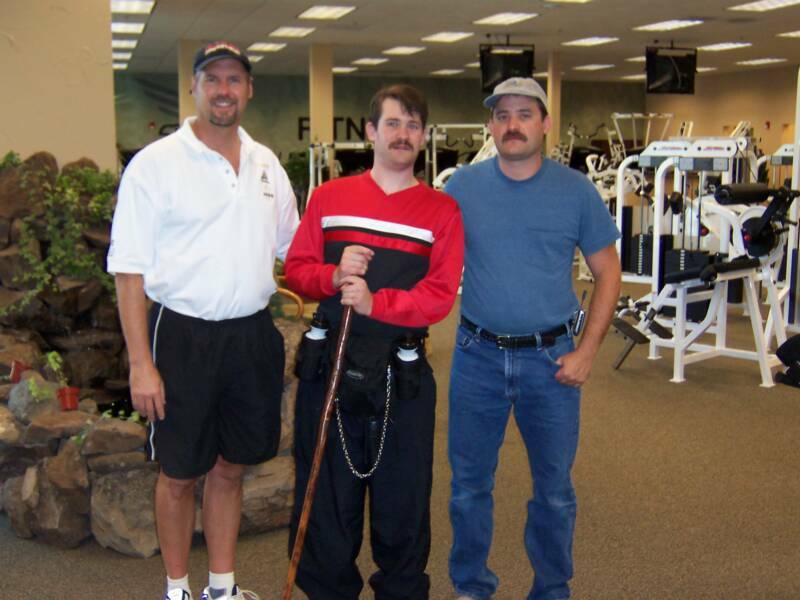 How has your life improved of changed since becoming a client at Fitness Forever? GC. I have more patience which make it nicer for people to be around me and I have more energy and fell better inside and out! Q. What are the two or three biggest benefits you experienced in your online nutritional life coaching with Ingo? GC. Knowledge. I have learned what putting things in my body does and doesn't do to and for me. I don't have to go to the gym for two hours and work out to look and feel good matter of fact I never went once during my time with Ingo. I took a yoga class a week that was it! Finally, I learned the combination of eating right and doing the right exercises. Ingo pushed me when I needed pushing and he gave me encouragement and strength to change my life. One more thing... I had never really cooked before. My lifestyle was fast food. Now I am actually eating and preparing food that gives me life and the energy to do the things I love to do. I also realized that I can make an effort to choose good foods and drinks that make me healthier you can see the difference in just 6 weeks ...Wow I sound like a TV comercial Thank you Ingo, I would recommend that anyone who reads this do the online training it has changed my life and it will change yours as well fitness really is forever! She Was One of 1400 People At A Todd Duncan Event I Did In Sept 2007 at The Desert Springs Marriott Here in Palm Desert,Calif..She Just Had To Become A Client And As You Can See Just One Phone Caching Appointment a Week For 7 Weeks Produced Incredible Results...! By the Way, Georgie Never Came Into My Office Once Why? Because She Lives In Beautiful Traverse City, Michigan! Here is the note I received from her just a few weeks ago. Thank you for everything that you have done for me. I have suffered from chronic fatigue and C.diff for a while . I went to everyone from specialists to Naturopaths. No one ever asked me what I ate. Simple (or complex) as that! You Gave me the tools I need to create a better life. Your Coaching kept me on track all the way. You taught me I had to "work in" before I could "work out" (You didn't throw me into some massive exercise program, that I would fail at) This is a total lifestyle change, not a fad. I will be forever grateful. If you have any doubts about Ingo or his ability the proof is in the puddin so ta say look at me in 6 weeks!